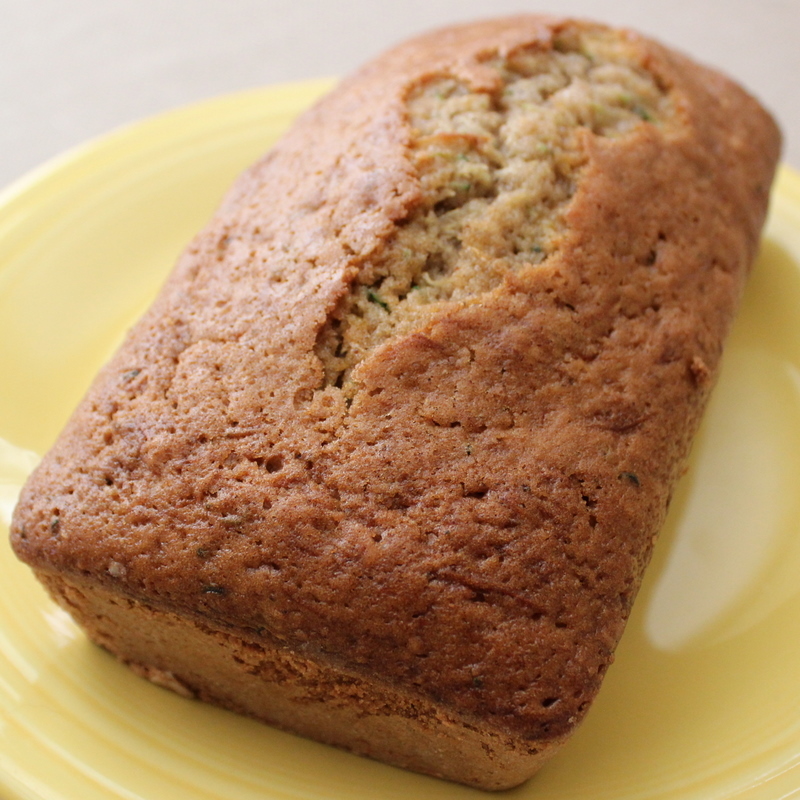 What more perfect thing is there to do on a rainy day than enjoy Zucchini Bread?? Thanks Mom! Make well in center of bowl. 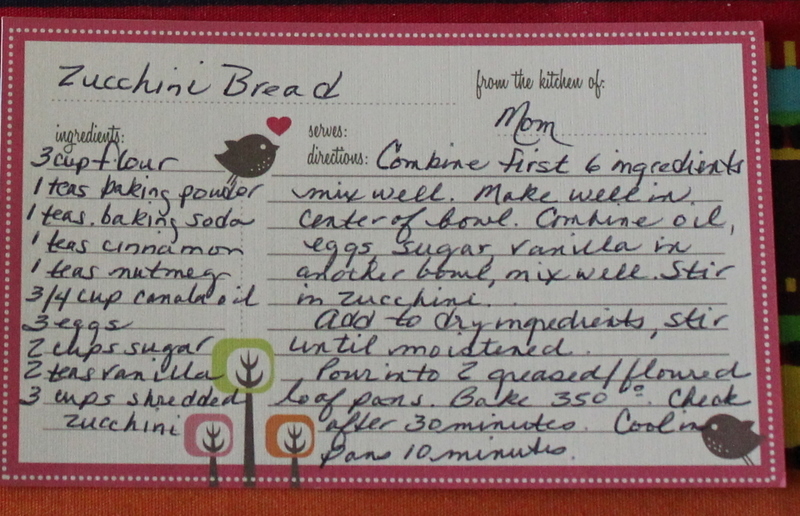 Combine oil, eggs, sugar, vanilla in another bowl and mix well. Stir in zucchini. 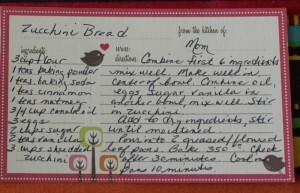 Add to dry ingredients; stir until moistened. Pour into two greased/floured loaf pans and bake at 350 degrees. « Custom, crafted, organic home decor.